I recently had a very interesting debate with an SEO consultant on the subject of redirects that really challenged my thinking on the use and application of server side redirects. If you raise the subject of redirects to anyone with basic SEO knowledge, they will inform you that you should always do a 301 server side redirect over a 302 redirect. 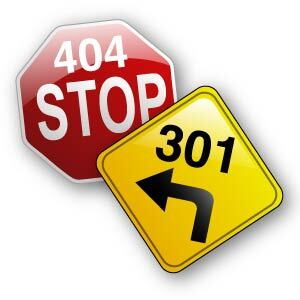 Others may even tell you that a 301 redirect is permanent and a 302 is temporary. Understanding SEO best practice is one thing, but understanding the nuances of the algorithm and how the intricate application of server side scripting affects ranking and appearance within the SERP's is what distinguishes the real experts. Best practice dictates that 302 redirects should never be used. We should always use server side 301 redirects to tell the search engines that a web page has changed address. In Layman's, we are advising the web crawler that the webpage that was once hosted on URL (A) has now moved permanently to URL (B). However, through the management of the SEO function for an number of complex and inflexible web platforms, I have found a practical SEO use for a 302 redirect. This is best demonstrated using a simple example. Example.com/productA serves a 302 redirect to a product page with a longer URL, example.com/abc/xyz/cba/zyx. The web crawler will understand that the page content has moved over to the longer URL but the shorter URL will be displayed in the SERP's. The shorter URL is easily identifiable within the SERP's. It is cleaner and resonates with the user. Any marketing supporting the sale of product A will advertise using the shorter URL, so recall from the SERP's is far more likely. The disadvantage of using a 302 redirect is that link equity is not transferred between the URL's. Therefore, in the above example, the equity of the first URL and the second URL will remain separate. If a 301 redirect was used, the longer URL would be displayed in the SERPS. This will help the site reach a higher ranking as all link equity will be passed across. However there is an argument that the less friendly URL may not attract as many clicks, even in a higher ranking position. Whilst this application of a 302 redirect may be seldom used, I have witnessed occasions where brands have benefited from displaying the friendly URL over a complex dynamic URL. Best practice of course would be to build the page on the shorter URL but SEO's that have worked on sizable and complex websites would understand that this is not always practical. Recent evidence has identified that there may be an expiry date ability of a 301 redirect to pass equity. For example, after one year equity will stop being passed through example.com/productA to example.com/abc/xyz/cba/zyx. As a result of this changes, webmasters and developers should aim more than ever to build content on SEO friendly web pages, surrounded by a logical customer facing architecture. SEO's should understand existing redirects and develop a migration plan for all links coming into the redirected URL. Redirects and server side scripting is often regarded as the complex side of SEO but the principles are simple to administer, even if the application is not.